MISSISSAUGA, ON, Nov. 30, 2018 /CNW/ - Maple Leaf Foods (TSX: MFI) reinforced its commitment to environmental leadership as one of 50 major global businesses, and the only protein company, which have published an open letter to the world's governments urging greater collaboration in the fight against climate change. The leaders, from the World Economic Forum's Alliance of Climate Action CEOs, are committed to using their positions to help meet the Paris Climate Agreement goals. Thirty of the companies that signed the letter reduced emissions by 9%, (almost 47 million metric tonnes in absolute terms) between 2015 and 2016, the equivalent of taking nearly ten million cars off the road for one year. Since launching its sustainability strategy in 2014, Maple Leaf Foods has reduced its total energy intensity by 19% and greenhouse gas emissions intensity by 18%. The Company has a goal to reduce its environmental footprint by 50% by 2025 and is on track to meet this goal. "Climate change is the single greatest challenge facing our world and Maple Leaf is committed to operating within the bounds of environmental limits and providing consumers with more sustainable food choices," said Michael H. McCain, President and Chief Executive Officer. "Real change also needs real political leadership, and we stand beside these other global companies to push for action that achieves the goals of the 2015 Paris Climate Agreement." The letter is published ahead of the UNFCCC climate conference in Katowice, Poland, where governments will meet next week to discuss progress towards delivering the 2015 goals. The leaders call for greater public-private cooperation to put in place effective carbon pricing mechanisms and policies to incentivise low-carbon investment and drive demand for carbon reduction solutions. The Alliance is also focused on highlighting the business case for cutting emissions to generate more support in the private sector. Maple Leaf Foods is a leading consumer protein company, with a vision to become the most sustainable protein company on earth. 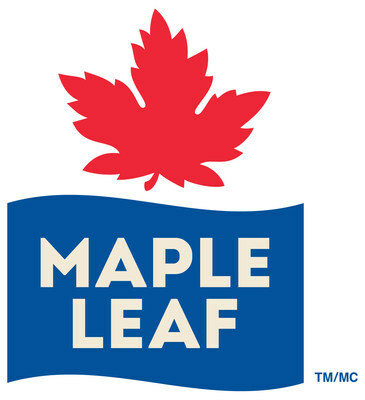 Maple Leaf makes high quality, innovative products under national brands including Maple Leaf®, Maple Leaf Prime®, Maple Leaf Natural Selections®, Schneiders®, Schneiders® Country Naturals®, Mina®, SWIFT®, Lightlife TM and Field Roast Grain Meat Co.TM. The Company employs approximately 11,500 people and does business in Canada, the U.S. and Asia. The Company is headquartered in Mississauga, Ontario and its shares trade on the Toronto Stock Exchange (MFI).